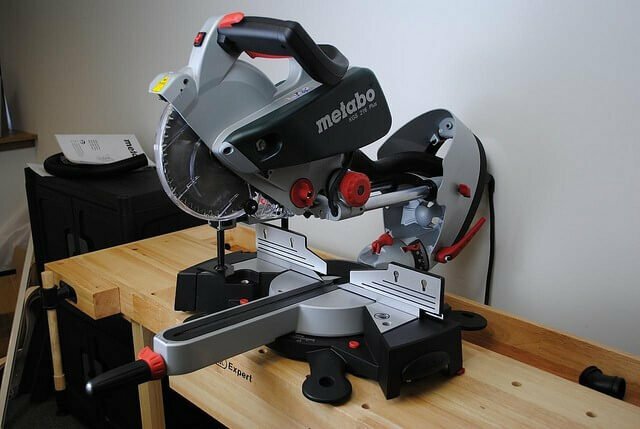 There are a number of cutting tools that can be used by woodworkers in cutting timbers and other materials, but the miter saw offers some of the most versatile cutting range for most projects. Some models of miter saws can be used to make perfect cuts suitable for furniture-making or other intricate designs immediately after they are removed from their box; However, after you’ve been using the saw for some time or if your miter saw isn’t doing as well as it should, you can maximize the performance of your miter saw if you apply the tips given below. 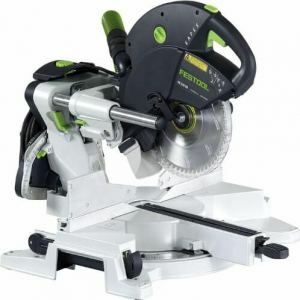 Normally, a new miter saw has a 24-to-40 tooth blade which is a general-purpose type of blade that you can use to cut framing lumber and decking. However, they are not good for making a clean cut. You cannot rely on these blades if you want to end up with a finer surface on your cutting edges. So, if you want to make a clean cut you need to upgrade or change your miter saw’s blade to high grade or performing blade whose hook angle has low a degree. The right blade depends on the miter saw that you’re using. If you are using a 10 inch miter saw, the high performance blade that you’ll need is an 80-tooth blade. If you’re using a 12 inch miter saw, then you’ll require the 96 or 100 tooth blade. Another thing that you should know is the hook angles of your miter saw. If the hook angle of your miter saw’s blade is above 10, it will cut your wood very aggressively. This will not result in a good cut, although it can be useful for making rough cuts on a bulk batch of lumber. If it has a negative hook angle, it will cut your wood easily with a cleaner shaving cut. In the light of the above, your miter saw’s hook angle should be between 10 and –5 for the finest cutting performance. Another thing that you should do in order to optimize your miter saw is to provide a back up for your cuts. 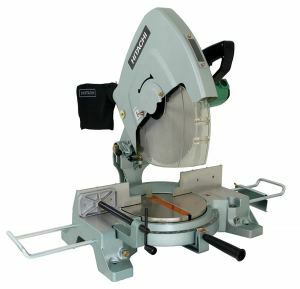 Normally, it does not take time for the support of the overlapping bevel and miter cut to wear out even if the throat insert plate of the miter saw you are using has a zero-clearance. 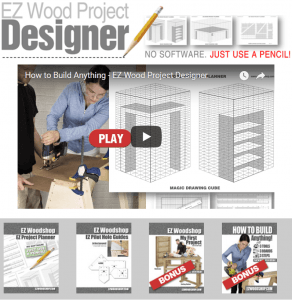 It is almost impossible for you to create your own inserts using MDF or plywood because majority of miter saws utilize 1/8 inches plastic inserts. The best thing you should do to provide support or back up to your cuts is to install a fence and an auxiliary table created from plywood, hardboard or MDF. With this, you will prevent a tear-out when the blade goes out of the cut thanks to the instant zero clearance support it provides. The support between two cuts will fall away if you make them at different settings. But, one side will continue to receive support from it and so your keeper piece should be on that side. Replace your auxiliary fence and table when they are no longer effective. 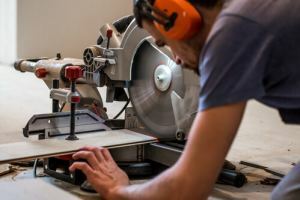 Before you lift your saw after making a cut with your miter saw, it is good that you allow the blade to stop spinning. If you lift your saw when the blade is still spinning, the end of your work piece can be scratched. It is also possible for the cutoff to be snagged and dangerously propelled by the spinning blade. It will pay you if you can exercise patience for the blade to stop spinning before you lift the saw. 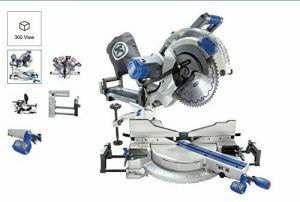 In order to maximize your miter saw performance, it is also advisable that you maximize its support. A majority of the tables for miter saws are around 18 inches wide, and some come with extensions that will increase the stock support to one or two feet when it’s pulled out. But some work pieces that are very long will be unsteady or inclined on these setups. So, to avoid the boards lifting off of the table or tilting, you need to provide extra support. There are a number of things that you should do here in order to ensure precision. Begin by including two scrap wood blocks that fit the height of the table of the saw. They should be positioned close to the ends of the boards. Your miter saw should be mounted on a collapsible stand which includes the stops and work piece supports. These are available for sale between around $100- $300. If you are cutting hardwoods, your miter saw’s blade can flex. In order to guide against this, you have to cut in two steps. Make a 1/16 inch cut to your cut line’s waste side as your initial cut. Then cut the line. This final cut will be a spot-on square and will also be cleaner. 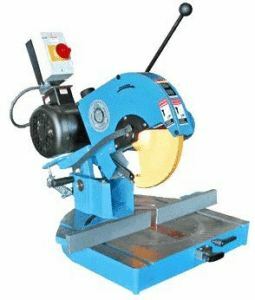 The above are some of the tips that you should apply in order to maximize the performance of your miter saw.